Tickets £7 on the door (concessions £5). Tickets may be reserved in advance - please call 020 7930 6844. What happens when a portrait painter and a sitter with a facial disfigurement come face to face? How can a portrait be used to engage the viewer and challenge social taboos? These are just a couple of of the questions which will be discussed by a distinguished panel including RP President Alastair Adams and Guardian art critic Jonathan Jones; chaired by National Portrait Gallery Director Sandy Nairne. 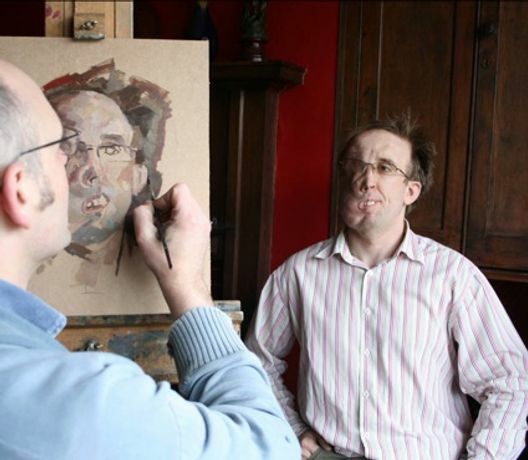 Hosted by the Royal Society of Portrait Painters in association with Changing Faces.